SIde dish for Adai dosa with video instructions! 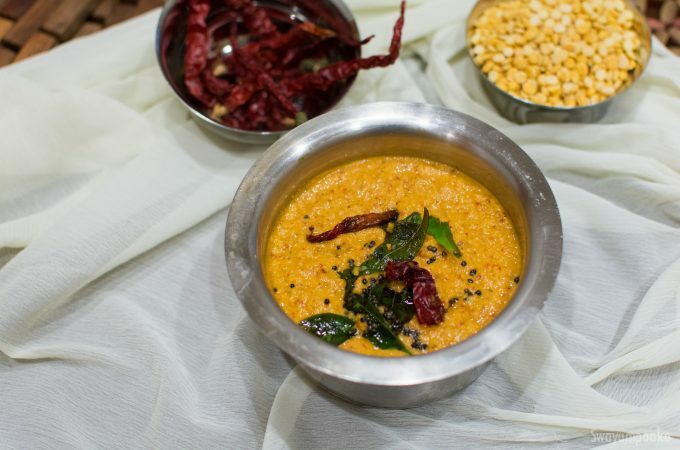 Coconut Chana dal Chutney is very nice combination Adai or lentil dosa. Chutney, there are so many varieties, each one has its own flavor,taste. Each breakfast dish like Dosa, Idli has its own companion, these goes well with a particular type of chutney. 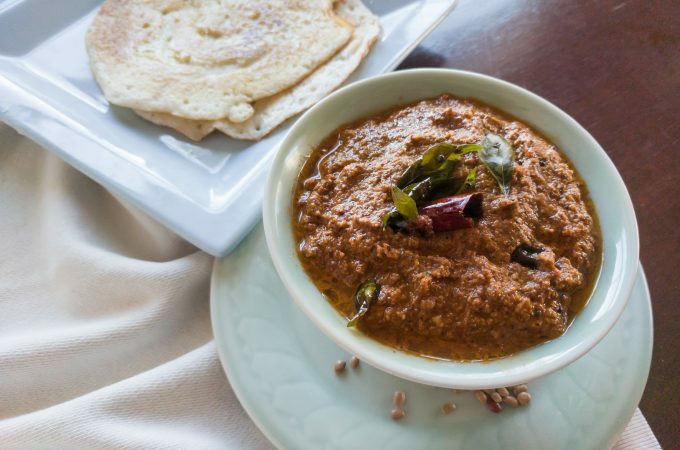 This red chutney or Bele/dal coconut chutney is very tasty, healthy and delicious side dish, goes well with almost every breakfast menu like chapathi, rava idli and dosa. Very easy to make super delicious chutney.